A couple of years ago My sister Melissa bought me “The Sotheby’s Wine Encyclopedia 4th Edition Revised” as a Christmas gift. The book has been a great resource and I find myself reading sections over and over. The book has sections of the various wine regions in the world. I have reviewed the California and France sections the most. Within each section he talks about the various wineries within the region. 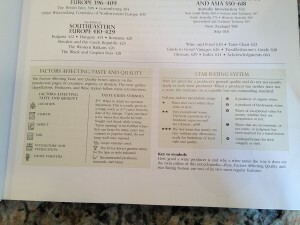 The author provides a brief summary of the winery including the varietals they grow, the location, and includes his rating system. I have also generated my own rating system that you will notice for each new blog. I was reading the chapter on “The Appellations of Napa Valley” to see what wineries the author has rated. There are so many wineries and not enough time to wonder over and dedicate time to checking them out. I did come across a winery called Titus Vineyard. I was intrigued because a Minnesota man “Lee Titus” moved his family from Minnesota to Napa and bought a winery in 1967. I decided to look at their website to learn more… After some time on the Titus website I new this was going to be a must visit stop next time we were going to be in the valley. Chris along with a couple of the others became members at that first visit, but we have since cancelled our membership. Some of our friends still have memberships at Titus. 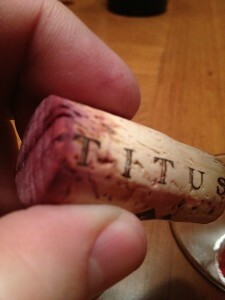 We have bought some of the Titus wines since and enjoy sharing them with my friends. Although the customer service was exceptional that first visit, the follow up was less than desirable. I think they are too busy and need help with tasting appointments. Recently during a nice evening with friends we were starting to wind down. 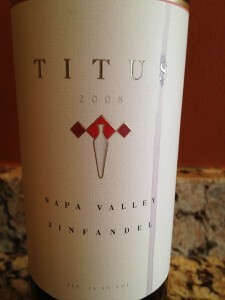 I wondered down to the cellar and decided to grab a 2008 Titus Zinfandel. I brought the gem upstairs and my friends smiled when I showed what I had chosen. I wasted no time and was cutting the foil and pulling the cork! As soon as I could see the cork I was a bit concerned. It looked like the wine had leaked through. I assumed that this must have either happened during a shipment or at the winery. I wondered if the wine had been exposed to our cold elements and had froze? Or was it our heat and did it leak from the heat during transit? None the less, it was time to pour some wine in a glass and see if it was any good. 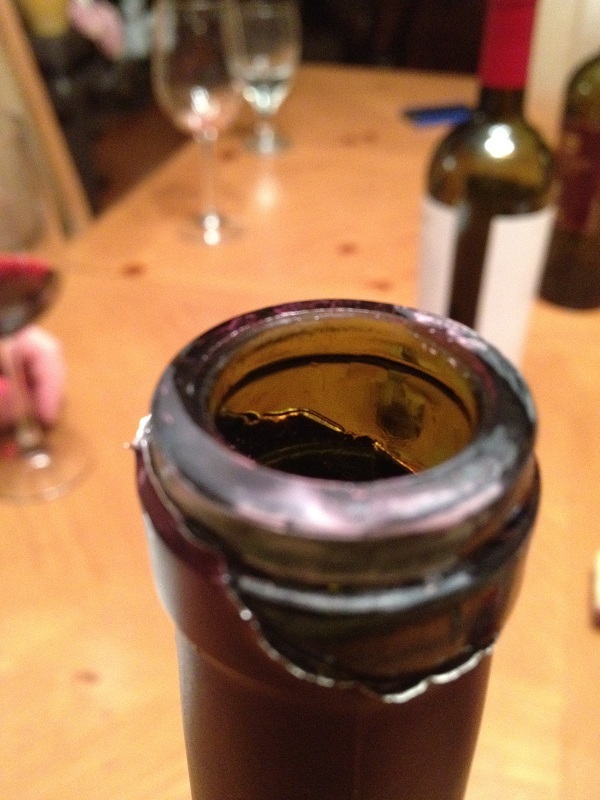 We worried it might be corked or no good at all. 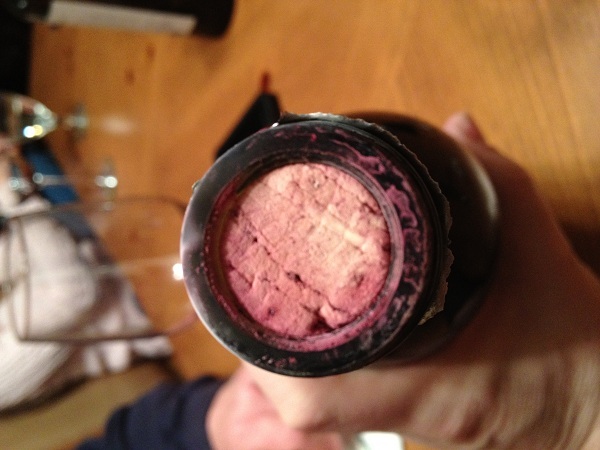 If you are not sure what “corked” means, there are some pretty good articles including this one “How to tell if your wine is corked“. As luck would have it, the wine was NOT corked and was quite good. I poured each of us a glass to enjoy. Smelling the Zinfandel there was Black Cherry and Black Berry to the nose and it smelled sweet and spicy. The color was nice deep cherry. The edge of the wine in the glass was the same color as the wine. Tasting the Zinfandel I noticed that it was a bit spicy. We did notice a bit of vanilla, dark berry and cherry. The tannin’s were light and felt in the middle of my tongue. The finish is soft and long. This is a really nice wine! We ended up not finishing the bottle that night so I replaced the cork and tried it again the next day. The wine held up nicely! 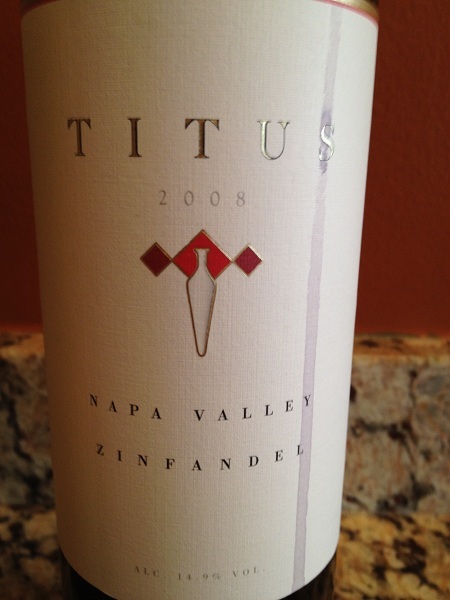 We both rated this Zinfandel from Titus “Three Glasses”.